When something breaks in your house, finding and hiring an expensive repairman shouldn't be the only option for homeowners. Next time your faucet springs a leak or that bedroom doorknob punches a hole in your drywall, fix it yourself with help from The Complete Photo Guide to Home Repair a one-volume encyclopedia of do-it-yourself fixes that will save you money, time, and frustration. 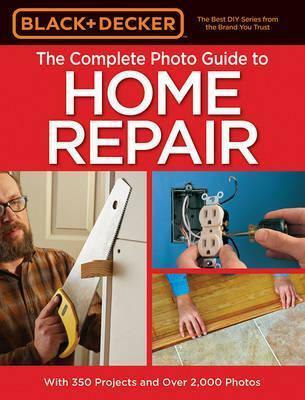 With 350 projects offering clear instructions and over 2,000 photos to guide you through common repairs, The Complete Photo Guide to Home Repair is your one-stop DIY manual.